Pre-Order Just Like a Demonstrator! During August, you can Pre-Order Just Like a Demonstrator! That’s right – for the month of August, you can pre-order the Carols of Christmas stamp set and the Card Front Builder Thinlits Dies, just like us demonstrators! You can order them separately, but of course if you Bundle the stamp set and thinlits, you’ll save 10% on the combined cost! Okay, you’ve been hearing me talk about this set for the past month! That’s because if you joined my team during July, you would have received it for free! Didn’t sign up? No worry – you can order it now, and start creating! This stamp set contains these 2 large focal sentiments, and the 11 image stamps, for a total of 13 stamps. This set heralds the need for more stamping! The carols reverberate loud and clear with peace and magic. It’s perfect for spreading holiday cheer. * Are precut so you don’t have to trim. You can order them in either the Clear Mount (#144804) for $26, or the Wood Mount (#144801) for $37. 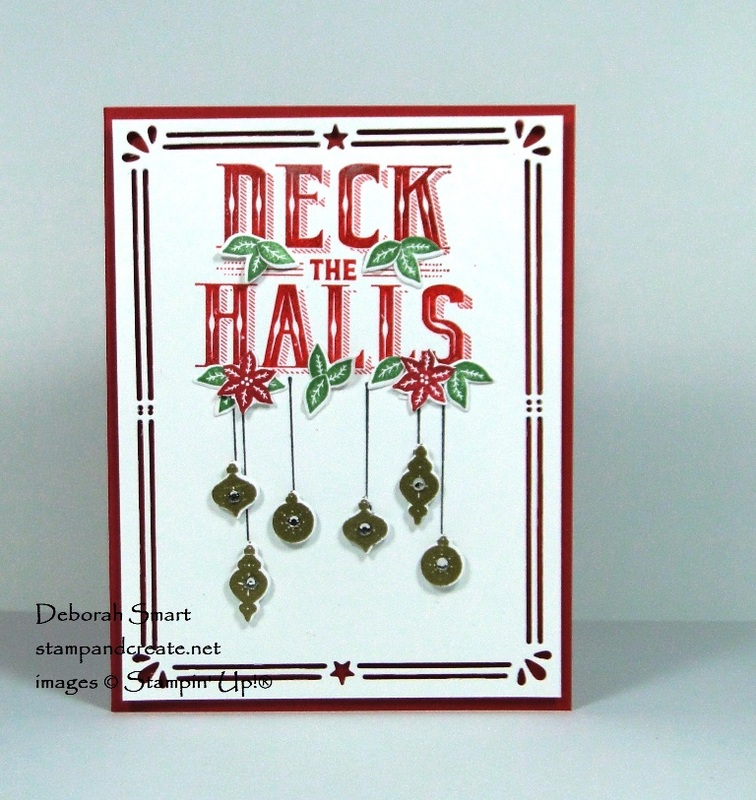 I am totally in LOVE with these Card Front Builder Thinlits Dies! 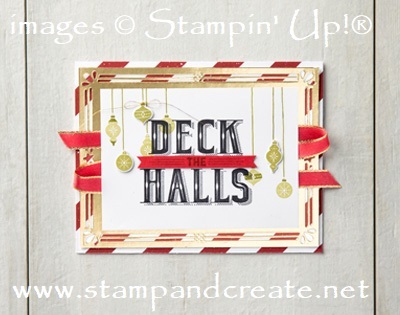 Not only are there 5 coordinating pieces for the Carols of Christmas stamp set, but there are 6 unique pieces for creating card fronts and frames! I love how the Card Front Builder Thinlits Dies were used to create the frame in Gold Foil Paper around the sentiment, and layered over the Be Merry Designer Series Paper. 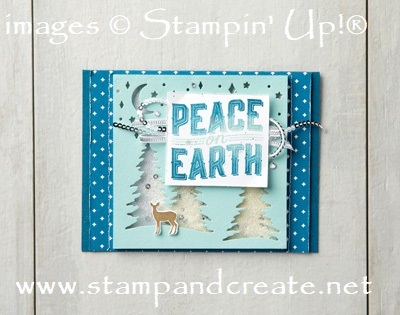 This fabulous Shaker Card was created using the negative images from the tree dies and the starry night dies, cut into Pool Party cardstock. The Tranquil Tide in the Eastern Palace Specialty Designer Series Paper makes a great backdrop! You can read the details on how I created it in THIS POST. You can order the Carols of Christmas stamp set, Card Front Builder Thinlits Dies, or the Carols of Christmas Bundle all during August! Click on the images below to go directly to my online store. You can also add more items than just these at the same time. 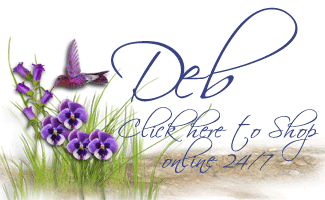 Contact me directly at debsmart@shaw.ca, if you’d like me to place your order for you. Previous Previous post: Join the INKcredibly Creative Crew Today!